At Who What Wear UK, we always strive to tell you about the next big trends ahead of time. That's why we created Microtrend Monday—your weekly alert to let you know the items and styling tricks that are suddenly taking off. Minimalists should look away now because this Monday's microtrend is about as bold as it gets. If you'd rather have fun with your outfit than wear something practical, then we've found your next handbag. This year we've been dressing like we're six years old and carrying beaded bags in rainbow colours. Yes, they might look like something you'd find in a toy shop, but that's part of the appeal. Designer Susan Alexandra creates handmade beaded bags in the happiest colours she can find, and sometimes even adds mini strawberries and clementines on top to make them even more fun. They aren't the best bags for the rain or for transporting anything other than your phone and credit card in, but they will make you (and those around you) smile instantly. And couldn't we all use a little mood lifter these days? Keep scrolling to see and shop the happiest bags we've found. 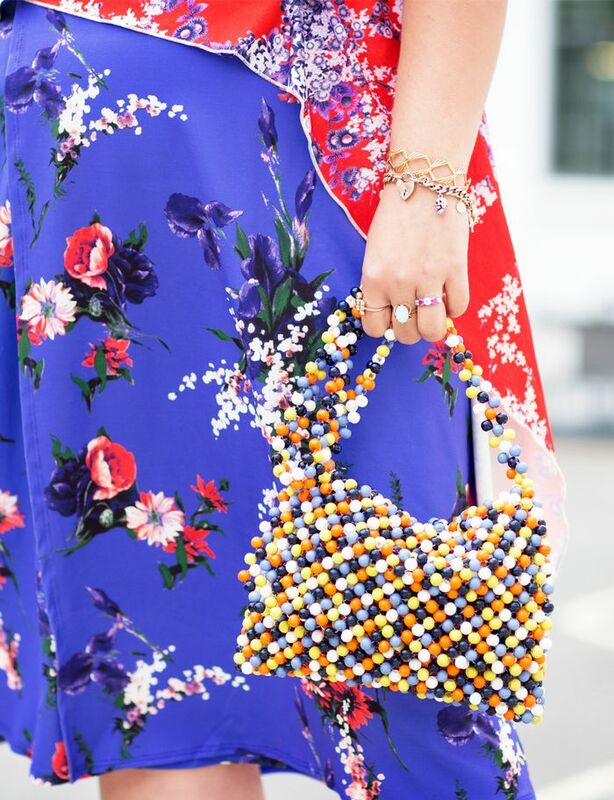 ASOS's Sara Brown carries a (now sold out) beaded bag from ASOS. Hurry—these styles are selling out quickly. Next, see the six trendy pieces that are taking over London.